If you’ve attended the ASAE Annual Meeting & Expo within the last four years, you may know that we sponsor The Hive, an open-space lounge for conference newbies and veterans alike. We took inspiration from The Hive to establish a new program here at DelCor in 2018. DelCor to honor new association and nonprofit clients with donation to Bee City USA. With each new client who joins the DelCor ‘hive’ this year, we’ll make a donation to Bee City USA. We’d like to take this opportunity to tell you a little bit about this unique organization. Plant more locally native flowering plants. Adopt least toxic Integrated Pest Management strategies. Provide ongoing education to the community. Influencing the supply chain of plant nurseries and retailers, garden designers, and landscapers. This happens one city at a time by making systemic changes in landscaping on public and private property. To date, the Bee City USA and Bee Campus USA programs have certified 62 cities—including Washington, DC—and 33 campuses. The commitment to preserving pollinators is spreading! When you think about it, the power of associations and nonprofits is similar. An idea sparks, a movement begins, and the impact spreads. DelCor’s support of Bee City USA is a symbolic yet practical way to demonstrate the collective efforts of our staff, our company, and our clients to improve our world and our society—one community at a time. In the next several weeks, we’ll start building a visual representation of our hive here on our website, where you can watch our impact grow, one client and one donation at a time. 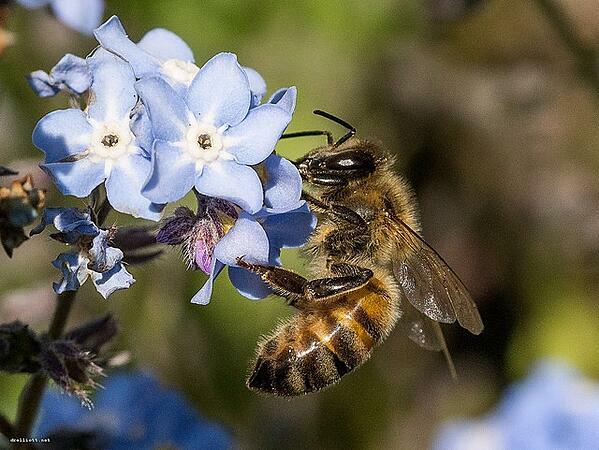 Bees and other pollinators are threatened by habitat loss, poor nutrition, and pesticide exposure. You help protect them when you hire DelCor. We partner with you to advance your mission—and to help communities around the country thrive. Buzz us if you want to know more about this program. Learn more about Bee City USA.